Party at Udi’s Stapleton restaurant: 6:30 pm – 8:30 pm. This event is SOLD OUT. Reading and book signing at The Tattered Cover Book Store (on Colfax Ave.): 7:30 pm and open to all. Book signing at the Dillon Borders Book Store: 4:00 pm – 5:00 pm open to all. A BIG Gluten-Free PARTY for Shauna, Danny, and Lu at Mi Casa Restaurant: 5:00 pm to 8:00 pm for $16.25. Gluten-Free Potluck at First Congregational Church (1128 Pine St.): 1:00 pm and open to all. Bring a favorite gluten-free dish to share around. If you can chip in a couple of bucks to help cover the fee for the rental space and cleaning, that would be extra swell! For all of the details on these events, please visit Shauna’s post on their Colorado Book Tour. I was rather pleased that I kicked my cold in time for my Yosemite shoot last week. It was a short-lived victory though, because it came back and thwacked me square in the shins this weekend. I lost my voice. I felt sapped of energy. And Jeremy’s family visited for the weekend (but they had a blast playing Rock Band 3). The key was to lie low and stay under the radar… and watch the snow fall outside. I think we are finally getting our winter on in Colorado, albeit slowly. Oh wait, but a few more from Yosemite (and the rest are on the photo blog). I’m happy to be home. It isn’t just the fact that I don’t have to plan for another trip, but that I can actually make plans at home. Plans to see my friends, to cook and bake, to SKI, to fix things around the house, to get some real work done, and especially spending time with the guy and the pup. When I was preparing all manner of recipes ahead of time to post during my travels, we were always eating a “new” recipe. Jeremy commented at one point that we hadn’t repeated a dinner in quite some time… months, in fact. I’m no fan of serving the same five recipes every week for all eternity, but the nice thing about a great recipe is that you can make it again. Variety is the spice of life, but favorites are meant to be re-lived. There’s nothing like a quick stir-fry full of vegetables that puts a smile on my face. I grew up eating a lot of vegetables and I start to feel lethargic and sleepy when I don’t get enough of them. My mom was an ace at the Chinese stir-fry. Her vegetables were always crisp, fresh, and brightly colored. So that’s how I make my stir-fries and wouldn’t you know it – Jeremy craves those vegetables too. One of my favorite dishes is this chicken and vegetable stir-fry because of the clean and bright flavors. 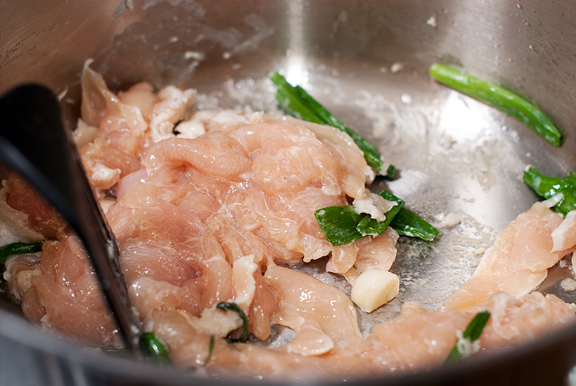 In a medium bowl, combine the chicken, Shaoxing sherry, salt, and cornstarch. Mix well. Heat 2 tablespoons of vegetable oil in a sauté pan over high heat. Toss in the garlic and green onions and stir for a minute until fragrant. Add the chicken and sauté until barely pink. Remove to the bowl you mixed the chicken in and set aside. Add the remaining tablespoon of vegetable oil to the same pan and heat on high. 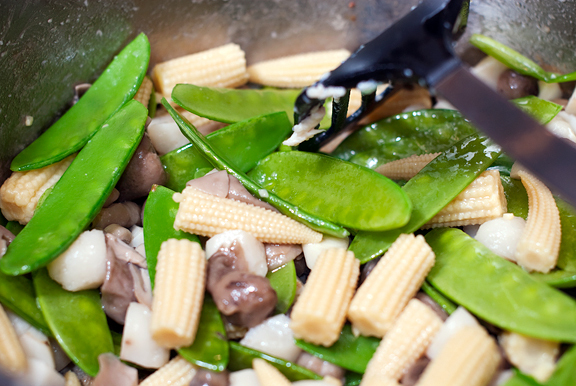 Place the snow peas in the pan and stir fry until they turn a deep green. 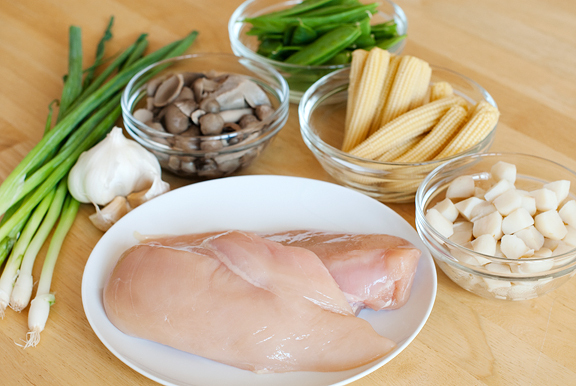 Add the mushrooms, water chestnuts, baby corn and the chicken to the pan and continue to stir fry for another few minutes until the chicken is no longer pink. Serve hot. 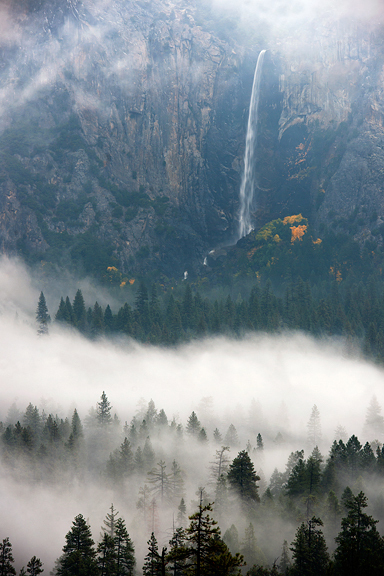 The photographs of Yosemite are so beautiful. I wish I can go there some day. Mmm, stir-fries! I think I’m genuinely addicted to veggies now, too. I seriously cannot have a meal without a ridiculously huge amount of them. I love that picture of the Bridal Veil. Beautiful. Also, I want that bowl of mushrooms right this minute. Yosemite is one of our favorite places on earth! Between that and stirfry, what could be better? 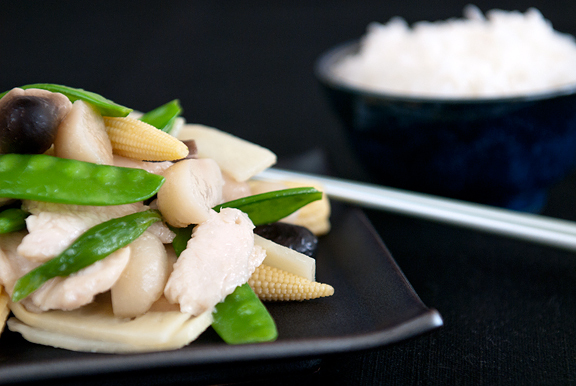 I love stir fry…this looks great! 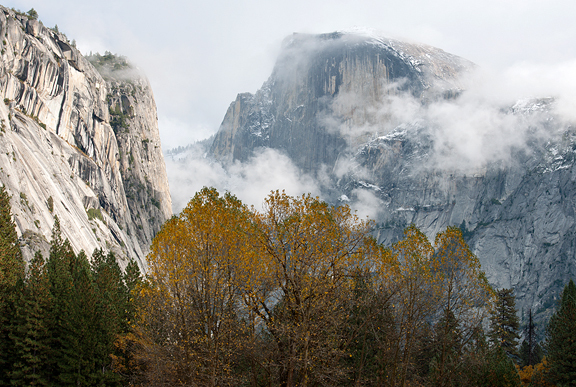 Looks quite the ticket for the winter blahs – the chicken and veggies, I mean, NOT the Yosemite images. Those are beautiful! Bless your heart for sharing your passions and recipes with the world! Really nice clean pictures. I really like this recipe. Stunning Yosemite pictures. Love the stir-fry pics too…. Your blog is stunning, and I want to eat that stir fry, right now. Your photos make the simple dishes look so delectable! Fantastic! 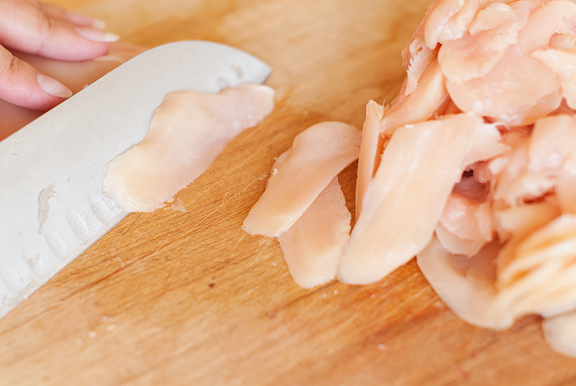 has anyone ever told you how awesome you make raw chicken look? This looks quick and easy, something I can actually handle in the kitchen. Definitely want to try it out.